Antonia Vai is a 24-year old singer, songwriter and multi-instrumentalist from Sweden, well-established on the music scene of Stockholm. She has been titled as a "bohemian soul diva", but has clearly been influenced by folk. Focused on storytelling, shaped by rhythms and unique melodies, every song turns into a journey. She shifts between sadness and hopefulness. Combines metaphors and contradictions. One second she's dynamically explosive, and the other she's emotionally stripped down. Antonia began recording her songs in the bedroom, or in random hotelrooms along the road, and ever since, the songs started spreading and circulating on the net. 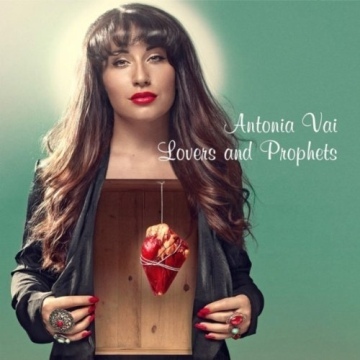 2012 she released her debut album "Lovers and Prophets", a tribute to forbidden love and sanctifications. In the same turn, she released "Dirt from when the Earth was flat", an album with gathered homemade productions.